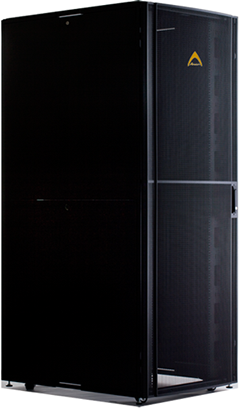 Arion rack 600W series: Vendor neutral and highly versatile 19" rack provides quality solutions for a wide variety of IT and Data Center applications. HD top version comes with additional openings on top panel for cable entry. Split level side panels provide convenient access to installed equipment. Depth adjustable 19” vertical mounting rails in 6.35 mm increments, with easy to read depth marking. "U" numbers printed on 19" rails. Knock down design for efficient shipping. Quick assembly time, approximately 15 minutes. Flexible packing methods allows for convenient stocking and end user delivery. High density perforation on our doors provide open area for air flow exceeding equipment makers requirements. Our perforation patterns provides 71% open area, but the total open area is a better indicator of air flow. Please see table technical specification. Disclaimer: All product information and catalog sheets are updated from time to time and actual product may vary from what is shown. 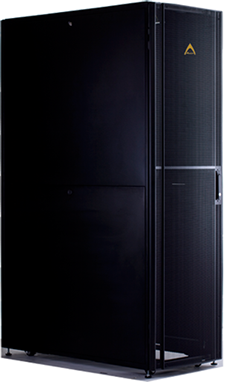 The Arion 800 series of 19" cabinets are highly versatile and vendor neutral 19" Cabinet designed for networking and structured cable installations, for IT and Data Center applications. Our HD top version comes with additional openings on the top panel for cable entry.